Air Algerie is the national airline of Algeria with its head office in the Immeuble El-Djazair in Algiers. Air Algerie became a limited company in 1997. The airline operates scheduled international services to 39 destinations in 28 countries Europe to the Middle East. Air Algerie is a member of the International Air Transport Association, the Arab Air Carriers Organization and of the African Airline Association (AFRAA) since 1968. The airline has a 46% market share on international routes. 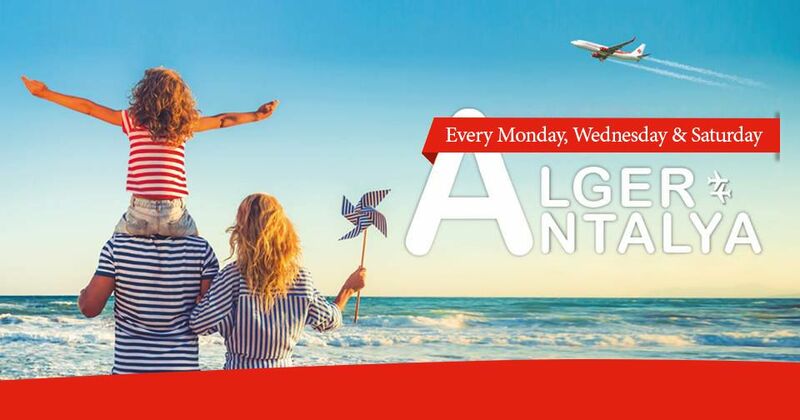 According to the announcement of Air Algerie, flights to Antalya will start in June. The reciprocal flights to be arranged on the Antalya-Algerie route will also positively affect commercial and touristic activities between the two countries. There will be an important increase in the number of tourists coming to Antalya. It will also increase investment opportunities for the Mediterranean region. Direct flights will gain time to the investors for to explore the city and will make easier buying a property in Antalya. Direct flights will be three days a week as every Mondays, Wednesdays, and Saturdays. Each flight will take off around 8.30 p.m. These flights will take approximately 4 hours. Thanks to the time-saving flights, now it will be much easier to reach country’s tourism center, Antalya from Algeria.